When Niels Bohr won a Nobel Prize for his work in quantum mechanics in 1922, scientific acclaim and a medal weren’t all he got. He also won a free lifetime supply of beer, when Carlsberg Brewery gave him a house which had a pipeline from the brewery to a beer tap inside the home. Talk about winning (liquid) gold. If you also think science is sometimes better over a beer, then we have the festival for you: Pint of Science. 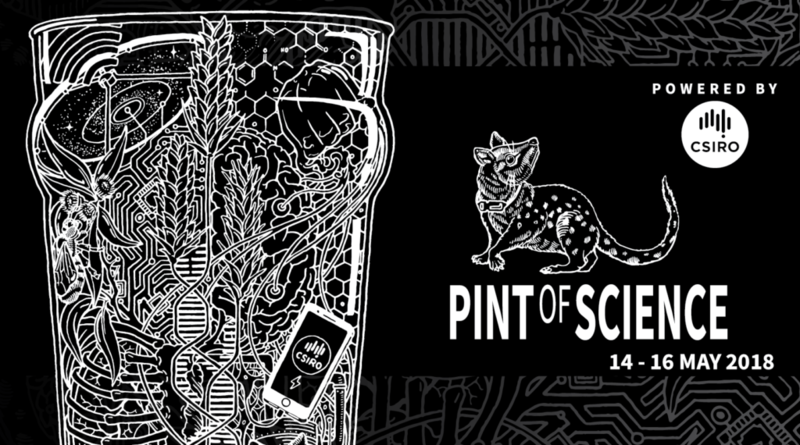 Each year Pint of Science takes scientists out of the lab and into the pub to tell you—the curious, science and beer-loving public—about Australia’s finest science from around the country, all over a crisp drink. 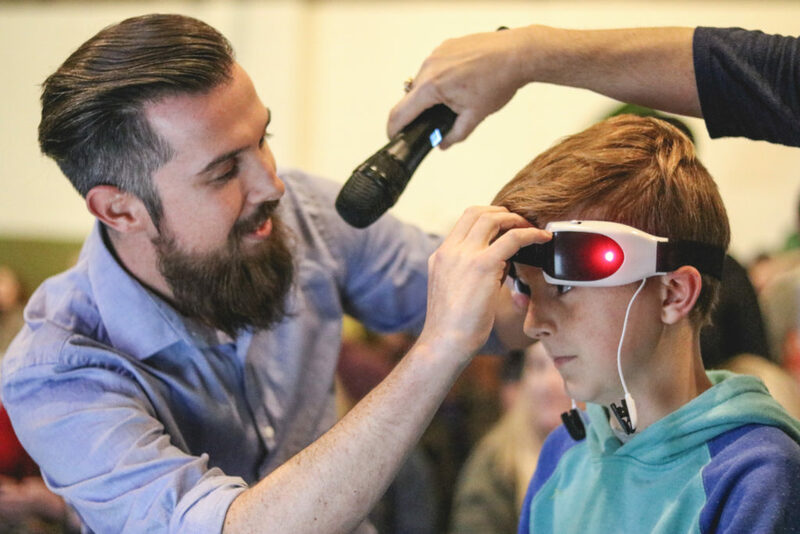 The festival had its humble beginning in 2012 when two researchers, working on nanoparticles to deliver drugs to the brain, hosted an event for the public to ‘Meet the Scientists’ behind their science fiction-sounding work. The instant success of the event bloomed outwards from the lab to the pub to the first official Pint of Science hosted in three different cities. Now in 2018, Australia will be the first of twenty one countries to raise their glass to science when the festival kicks off in May from the 14th–16th. Pint of Science gathers some of the country’s top researchers from leading research institutes, including your very own national science agency (that’s us), and puts them in a pub where they can share their research and a laugh with you over a pint (or two). One such researcher and 2018 Pint of Science speaker is Michelle Colgrave. Michelle Colgrave, one of our lead researchers in molecular analysis, probably knows more about beer than Niels Bohr himself. She’ll be speaking in Brisbane about what’s really in your pint. “It’s common to enjoy a chilled pint after a long day, but most people don’t realise that brewing is one of the oldest biotech processes known to humans,” Dr Colgrave said. It’s so old in fact, that archaeologists have found evidence of beer technology in Germanic and Celtic tribes, which they acquired from the Middle East around the 1st century AD. As you may already know, there can be a huge difference between beers, and Dr Colgrave isn’t just researching taste. “I’ll be talking about what’s in your beer, other than cool refreshing bubbles, that can promote good health but, also, what might be harmful to some of you,” Dr Colgrave said. 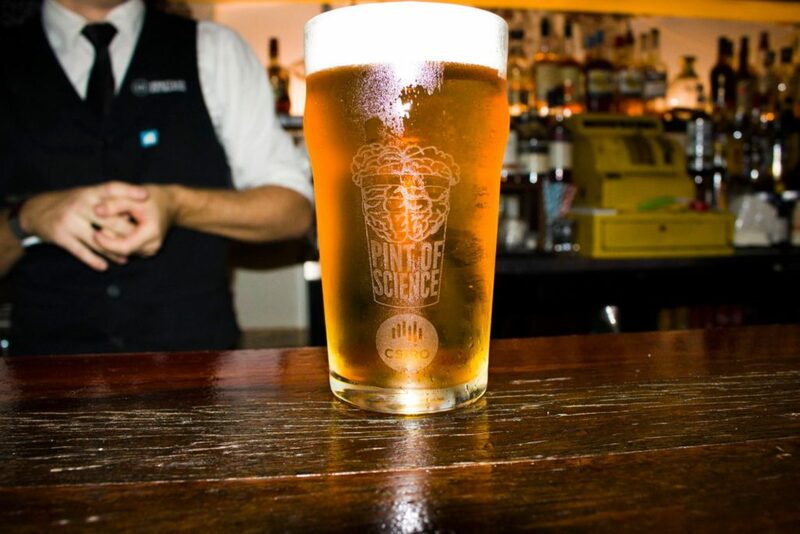 Pint of Science events will be hosted in pubs all over the country, in Sydney, Perth, Brisbane, Hobart—sixteen cities all together. And, just in case you needed another reason to attend, some of the venues at the Pint of Science festival also include science themed trivia so you can flex your intellectual muscles to your friends. To find your nearest pub hosting a Pint of Science event and purchase tickets, visit the official website. Curious, the article about Niels Bohr winning a free lifetime supply of beer has turned up on Facebook as a Hoax. Not being a Facebook follower i would like to know your thoughts on this. Do we believe Facebook or you? Hi there, Harry. Thank you for your healthy skepticism. – Jacob Christian Jacobsen, founder of Carlsberg Brewery, built a house next to his brewery in Copenhagen. – Niels Bohr was one such recipient. The blurry part is whether the residence had a pipeline running from the brewery. It’s difficult to tell, and the story certainly has the ingredients for a fable. Let us know if you can forward us that link from Facebook! Not so long as the beer contains the likes of Roundup. Period! What we all need is a determined move towards the production of truly organic beer. Would love to attend these! Hoping very much that this will happen again and maybe closer as I can’t get to any of them =(( Fascinating subjects and what an amazing opportunity to hear people speaking about their passion!